There are 3 videos in this series and they have statements by 150 academics and scientists and I hope to respond to all of them. 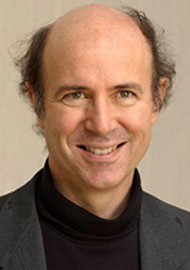 Wikipedia notes Frank Anthony Wilczek (born May 15, 1951) is an American theoretical physicist, mathematician and a Nobel laureate. He is currently the Herman Feshbach Professor of Physics at the Massachusetts Institute of Technology (MIT). Professor Wilczek, along with Professor David Gross and H. David Politzer, was awarded the Nobel Prize in Physics in 2004 for their discovery of asymptotic freedom in the theory of the strong interaction. He is on the Scientific Advisory Board for the Future of Life Institute. Born in Mineola, New York, of Polish and Italian origin, Wilczek was educated in the public schools of Queens, attending Martin Van Buren High School. It was around this time Wilczek’s parents realized that he was exceptional – in part as a result of Frank Wilczek having been administered an IQ test. He received his Bachelor of Science in Mathematics at the University of Chicago in 1970, a Master of Arts in Mathematics at Princeton University, 1972, and a Ph.D. in physics at Princeton University in 1974.Wilczek holds the Herman Feshbach Professorship of Physics at MIT Center for Theoretical Physics. He worked at the Institute for Advanced Study in Princeton and the Institute for Theoretical Physics at theUniversity of California, Santa Barbara and was also a visiting professor at NORDITA. He was awarded the Lorentz Medal in 2002. Wilczek won the Lilienfeld Prize of the American Physical Society in 2003. In the same year he was awarded the Faculty of Mathematics and Physics Commemorative Medal from Charles University in Prague. He was the co-recipient of the 2003 High Energy and Particle Physics Prize of the European Physical Society. Wilczek was also the co-recipient of the 2005 King Faisal International Prize for Science. He currently serves on the board for Society for Science & the Public. Wilczek was married to Betsy Devine on July 3, 1973, and together have two daughters, Amity (Academic Dean at Deep Springs College) and Mira. In the second video below in the 51st clip in this series are his words and my response is below them. The first thing that science says is that many of the traditional ideas about how God acts in the world are definitely wrong, they are naive. I won’t belabor the point. There is enormous literature on that. The arguments are well known. The ancient texts which are the basis of most of the traditional religions don’t do justice to what we know about the universe now. They with rare exceptions don’t have a notion that the universe could be enormously large or so very old or most of all, most profoundly that it is so comprehensible or understood in terms of precise mathematical laws. What is the real problem that Dr. Wilczek has? Unlike others who have examined the evidence he just outright dismisses it. I sent Dr. Wilczek a letter that included many scriptures from the Old Testament that showed that the prophets predicted the Jews would be brought back from all over the world to rebirth the country of Israel again. Note to Dr. Wilczek: I sent you a CD entitled, “How can I know the Bible is the Word of God?” by Adrian Rogers, and I wonder what you thought of that evidence? I remember reading all these amazing stories in the Old Testament and thinking they were strange. However, I knew that they were true because everytime I researched the facts, I found the Bible was true after all. Here is a perfect example below. Does this record of Sennacherib’s war campaigns mention Hezekiah the Judahite? It contains the victories of Sennacherib himself, the Assyrian king who had besieged Jerusalem in 701 BC during the reign of king Hezekiah, it never mentions any defeats. On the prism Sennacherib boasts that he shut up “Hezekiah the Judahite” within Jerusalem his own royal city “like a caged bird.” This prism is among the three accounts discovered so far which have been left by the Assyrian king Sennacherib of his campaign against Israel and Judah. British Museum. The Taylor Prism discovery remains one of the most important discoveries in Biblical Archaeology. This six-sided baked clay document (or prism) was discovered at the Assyrian capital Nineveh, in an area known today as Nebi Yunus. It was acquired by Colonel R. Taylor, British Consul General at Baghdad, in 1830, after whom it is named. The British Museum purchased it from Taylor’s widow in 1855. The prism is a foundation record, intended to preserve King Sennacherib’s achievements for posterity and the gods. The record of his account of his third campaign (701 BC) is particularly interesting to scholars. It involved the destruction of forty-six cities of the state of Judah and the deportation of 200,150 people. Hezekiah, king of Judah, is said to have sent tribute to Sennacherib. This event is described from another point of view in the Old Testament books of 2 Kings and Isaiah. Interestingly, the text on the prism makes no mention of the siege of Lachish which took place during the same campaign and is illustrated in a series of panels from Sennacherib’s palace at Nineveh. This most famous of the Dead Sea Scroll caves is also the most significant in terms of finds. More than 15,000 fragments from over 200 books were found in this cave, nearly all by Bedouin thieves. 122 biblical scrolls (or fragments) were found in this cave. From all 11 Qumran caves, every Old Testament book is represented except Esther. Some of the Dead Sea Scrolls were found in pottery jars of this type. The fact that this type of jar was found in the caves and in the settlement at Qumran, and nowhere else, would seem to be convincing evidence that the Scrolls and the Qumran community are tied together. There are two Qumran Isaiah scrolls. Q or Qa is the Qumran Great Isaiah Scroll and Qb is the Qumran Scroll of Isaiah that is about 75% complete. Qa, the Qumran Great Isaiah Scroll is complete from the first word on page 1 to the last word on page 54.